"Let Sunrise put the sunshine back on your roof." We have a special understanding of the economic pressures homeowners are now experiencing because of high insurance deductibles. We can help! Our fair pricing, high quality materials and craftsmanship, add up to an unbeatable combination! We serve all of North Texas including Granbury, Arlington, Plano, Trophy Club, Colleyville, Southlake, Keller, Grapevine, Flower Mound, Highland Village, Bedford, Hurst, Weatherford, North Richland Hills, Euless, Irving, Coppell, Westlake, Arlington, Lewisville, Valley Ranch, and Dallas. 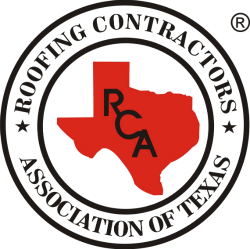 24 hour-emergency roof and skylight repairs Tarrant County, Denton County. Hail damage roof repair and replacement. Skylight repair and replacement. 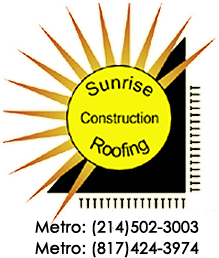 Contact Sunrise Construction and Roofing today for residential roofing, hail damage repair, fencing, and installation of sky lights and construction of arbors. Serving Grapevine and surrounding areas in Texas. Let us help you with your deductible, Sunrise Construction and Roofing offers roofing expertise and great value in Ft. Worth, Denton TX. With more than 20 years of roof repair experience in skylight, residential, replacement fencing and more.